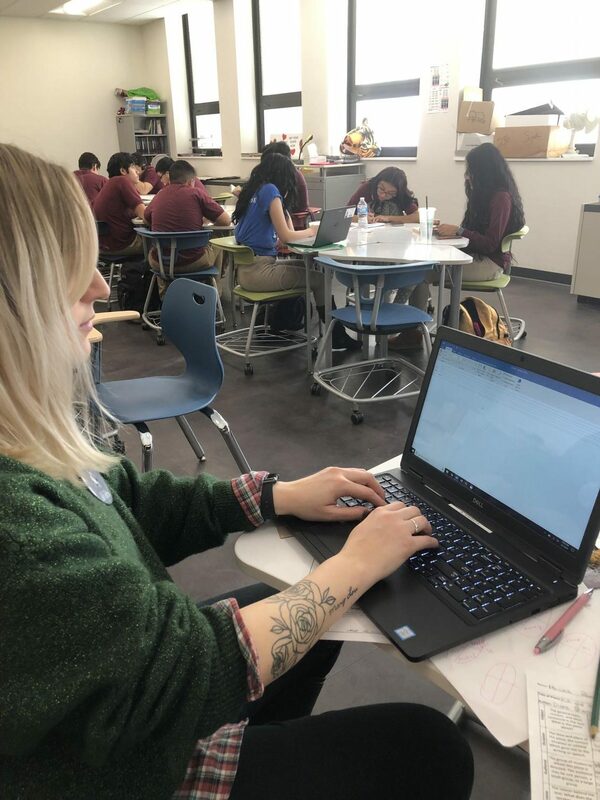 Literacy lab teacher Ms. Angel Samata shows that tattoos aren't just for teens. In a random survey of 100 Morton East students, 86 students said they don’t have any tattoos, and 16 students said they do have tattoos. A 4.5 rated tattoo shop located in 6338 w 26th st, Berwyn il 60402, owned by Cordeo white a professional tattoo artist. It’s open from Monday to Sunday from 12pm-10pm. The reviews mention an amazing tattoo artist and they also mention the good customer service and the quality of work. In a random survey of 100 Morton East students, 86 students said they don’t have any tattoos and 16 students said they do have tattoos. “My first tattoo is the date when my grandma passed away. My second tattoo is a meaning for my family, and my third tattoo is my zodiac sign,” Senior Shalein Sanchez said. Some parents do not approve as much as others. “At first, they disapproved of them but once I had them, they got used to it and they didn’t mind them so we can say they approved after I got them,” Senior Carlos Cardoso said. Most kids get it done at a young age while others wait to reach the legal age. “I got my first tattoo when I was 18 because that’s the legal age,” Ms. Angel Samata junior English teacher said. Once people get tattoos they want more because they know how it feels. “Yes, I’m getting another tattoo soon I’m getting my last name on the back of my forearm,” Sophomore Oscar Cardoso said. When people get tattoos, they either get it professionally done or they go with someone they know but it’s not like in a tattoo shop. “I didn’t get my tattoo professionally done. I got it at home with someone I’m close with,” junior Juliana Hernandez said. At some point when reading the article it reminded me of my mom, it reminded me of my mom because in the article when the said that parents do not support, it reminded me of my mom because if i would ever tell her that i want a tattoo she wouldn’t approve and start to tell me things which i find funny because my mom exaggerates a little bit too much. I see many people my age already having tattoos which I wonder why but in the article is also states that many people don’t get theirs done by a professional due to them being underage.